Behind every successful business is a well maintained, carefully cultivated email list. As the name implies, an email list is a list of email addresses people have voluntarily given to you. This is an important distinction. Unlike customers who may only stop by your site, make a purchase and never return, someone who gives you their email address is engaged with your business on a fairly deep level. First, email is cheap. You can reach a lot of people quickly for very little cost. Direct mail is more expensive than email and robo-calls are far too complicated for most businesses. Emails let you interact with your customers in a low-key, yet effective, way. Plus, emails are easy for a customer to manage. You won’t be bothering your customers with unwanted phone calls or physical mail. Autoresponders are another useful tool associated with email. An autoresponder can “read” an incoming email and send back an appropriate reply. This can be something simple like a message which reads, “Thank you for contacting us, someone from our office will be in touch in two business days.” Or it can be something far more complex such as an advertising campaign, online survey or newsletters. An email list is also useful for targeted advertising. Say you run an online clothing store, if you’re having a summer sale in two weeks, you can target individuals on your email list based on certain criteria. You might want to target only those who live in warmer climates. Or target those who made recent purchases, since your business will likely still be on their minds. Some email providers allow you to collect a variety of personal info on your customers. This leads to individualized offers such as birthday coupons, personalized merchandise recommendations and more. Even better, most of these types of emails can be automatically generated. You can engage your customers on a personal, individual level – even if your customer base numbers in the hundreds of thousands. Customers tend to not like it when they receive unwanted emails, so you want to stay away from anything shady. If you need a customer’s email in order to deliver a product or service (such as a virtual product) don’t turn around and use that email address for marketing purposes without your customer’s consent. You always want customers to opt-in to your email list. This means you need to make it very clear to your customer how you’re going to use their email address. Surprising someone with an unexpected and unwanted email has a pretty big risk of backfiring on you in terms of creating a positive impression of your brand. There are still plenty of ways you can make money off your email list, however. You can use target advertising and affiliate sales to boost your profits. You can also rent or sell your email list to third-parties. This is something you should only do if you alert your customers that they might receive emails from third parties from time to time. Also, you should never let a third-party have access to your emails. If addresses are lost or scammed, customers will blame you, not the third-party. 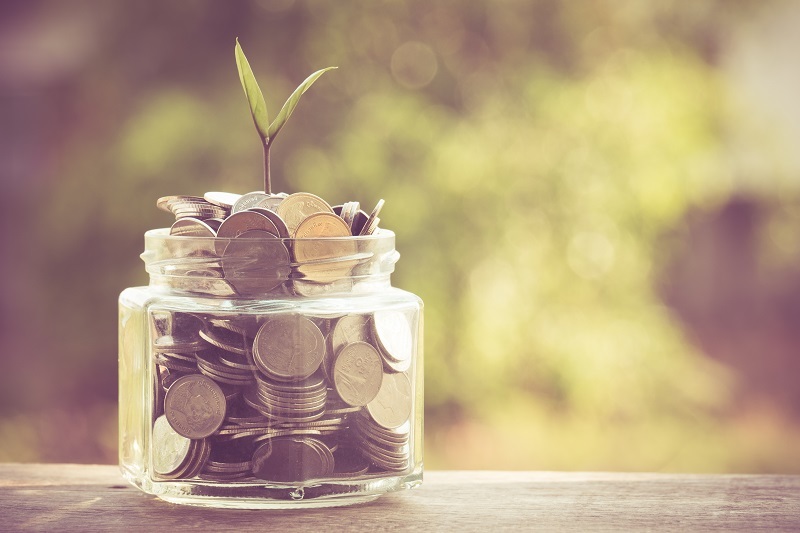 For a complete guide on how to build an email marketing list which makes money, check out this complete Guide to Email Monetization. Your competitors likely already have an email list in place. So you want to move quickly. Fortunately, there are all sorts of tips and tricks you can use to build your list in a matter of weeks and months, not years. Use all of the tactics mentioned below in a responsible manner. Comply with any and all legal requirements. Most online businesses will send a product to their customers after a purchase. This is the perfect time to include an invitation for them to join your email list. All you need is a simple checkbox and space for the customer to enter his or her email address. This can be on a bill, rebate card, subscription renewal, invoice or practically any other piece of paper. Just make sure there’s a self-addressed stamped envelope enclosed so that your new subscriber can easily drop it in the mail back to you. Add your new subscriber quickly. A fair amount of time has probably passed since they mailed away the card. To be honest, you probably think more about your customers than your customers might think about you, so the sooner you can get an introductory email sent to their inbox, the better chance you have of making them a repeat customer. A customer who visits your site and signs up for emails from you is a customer who is already very engaged with your brand, so you want a clear sign-up form right on your site. Make the sign-up box clean and consistent with the look of the rest of your site. Customers are reluctant to enter their email address into anything which looks odd or unprofessional. Place sign-up boxes just below or in the top banner of your site. This sounds weird, but it’s true: People are far more likely to sign up when the box is near the top of the site than if it’s located near the bottom or footer of the page. Be clear about the benefits. Tell your customers why they should subscribe to your email list. They might get a regular newsletter, special deals, customized product recommendations and more. 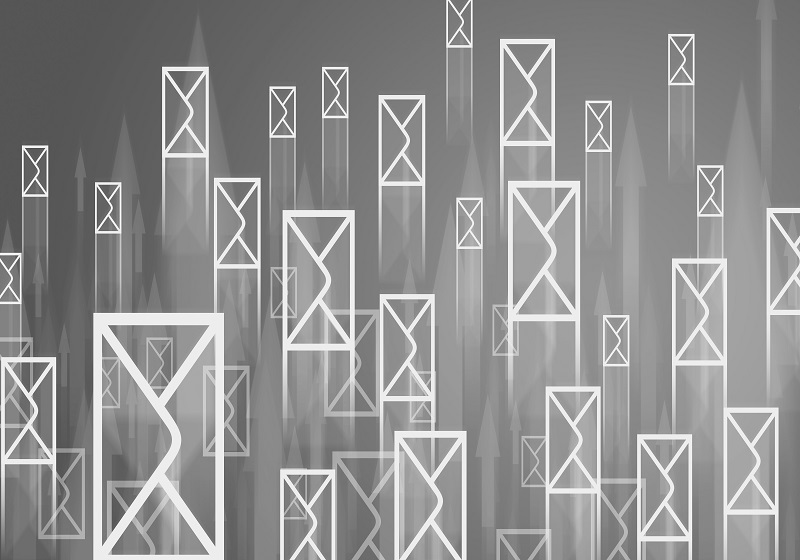 Of course, email itself is faster and more environmentally friendly than traditional mail. For many people, that’s enough for them to choose email. Everyone on your email list has friends and family. The trick is getting your subscribers to start talking about your business. One effective way to do this is to offer a small prize or discount. Also, you want to encourage your visitors to share product pages, wish lists, special offers and more with their social group. Anything which might go viral like this needs to include an email sign-up. 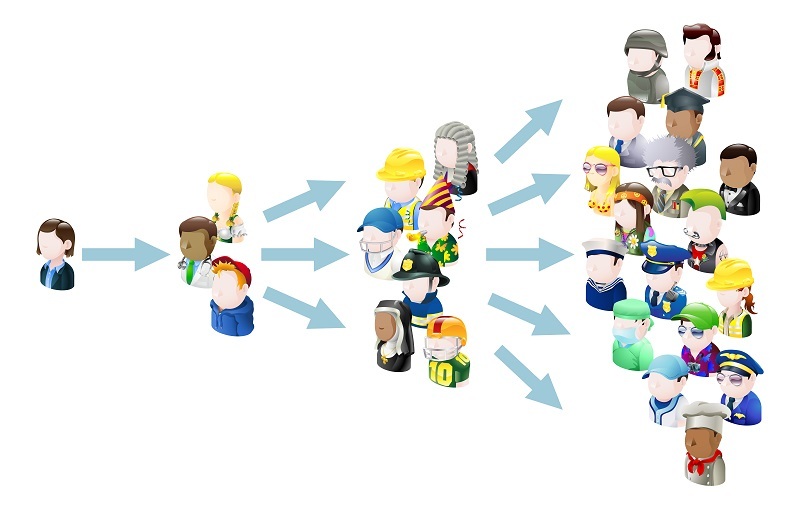 Referrals are another great way to expand your audience. Studies have shown that the most enthusiastic customers tend to be new sign-ups and anyone entering a sweepstakes. You want to quickly send them an email offering them a chance to refer a friend. Maybe even include a discount or offer for anyone who successfully signs up a friend. You want to get the friend’s name and email address so you can then send them a personalized email. Be sure to include the referrer’s name in the email, as this significantly enhances your credibility which leads to high conversion rates. The most common method of acquisition for marketers is site registration. You want to incorporate sign-up into all ecommerce forms and account registration procedures. There are a few strategies to make the experience desirable to your customers. Explain in clear detail the benefits of registering. The more you know about your target audience, the better. Collect geographic and demographic information for later segmentation. If your business is a physical location, you probably want to try asking your customers for their email address at the point-of-sale (POS). In-store, in-person email acquisition is consistently rated as very effective by marketers. How to explain the benefits of your email program clearly and quickly. How to explain the frequency and content of the emails which will be sent. How to confirm the spelling and accuracy of the email address if given. Aside from employee training, in-store signs can also help explain the benefits of your email program. Along the same lines as POS acquisition, any interaction your call center representatives have with a customer is an opportunity for you to obtain an email address. After all, your customer is engaged with your business. If the customer is calling with a problem, you want to wait until after you provide a satisfactory solution before asking for their email address. If your Call Center Representative writes their own emails to customers as a follow-up, you should have them insert a link to an email sign-up. As with POS acquisitions, you need to train your employees to explain the benefits of email sign-up as well as the types, frequency and benefits of your program. When a customer requests a pamphlet, research papers, company info, price quotes or similar information you should either ask for or simply require their email address. While this can be used with individual customers, surveys have shown this method is far more useful with business-to-business marketers, financial organizations and other businesses. Simply save the documents as PDF files and require a name and email address in order to download. The trick here is to make sure what you’re offering has a high value. People aren’t going to give up personal information unless they feel the trade-off is fair and has a high value. Should you concentrate on your email list or your social media presence? Marketers hear this question all the time. The answer is to use your social media presence in order to grow your email list. Your Twitter or Facebook followers don’t need to provide an email list in order to view your social media content. But that content, done correctly, will hopefully drive those customers to your website. If you’ve implemented the tips above, the chances are that you’ll pick up more than a few email addresses. So, social media can lead to a larger email list, albeit indirectly. So you’re now on your way to building up your email list. That’s great! But now is not the time to sit back and relax. Because now you need to choose an email provider. The three most popular email providers are MailChimp, AWeber and GetResponse. For a much more detailed examination of these three, check out this complete Guide to Picking an Email Provider. Follow the link below to sign up to MailChimp and get $30 worth of FREE credit to get you started. As the email marketing provider of choice at MonetizePros, we would strongly suggest signing up to MailChimp and giving it a try! Whether your website is a compliment to a physical business or an entirely virtual enterprise, you want to build as large of an email list as your possibly can. As the customers who sign up for your email list are the ones most engaged with your brand. You can target them directly with sales, referral opportunities and other marketing strategies. Creating an email list can be difficult, but if you implement the tips above you should end up with a large list relatively quickly. Don’t forget to select an email provider. This will be the best way to manage your email marketing. Purchasing a provider doesn’t have to break your budget, either. 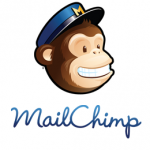 Here’s a Mailchimp Coupon, one of the most popular providers on the market today. With the right provider and a robust email list, you’ll be ready to take your business to new heights. And I would rather say: Behind every successful email marketing campaign is a large email list. This is, indeed, a great article. 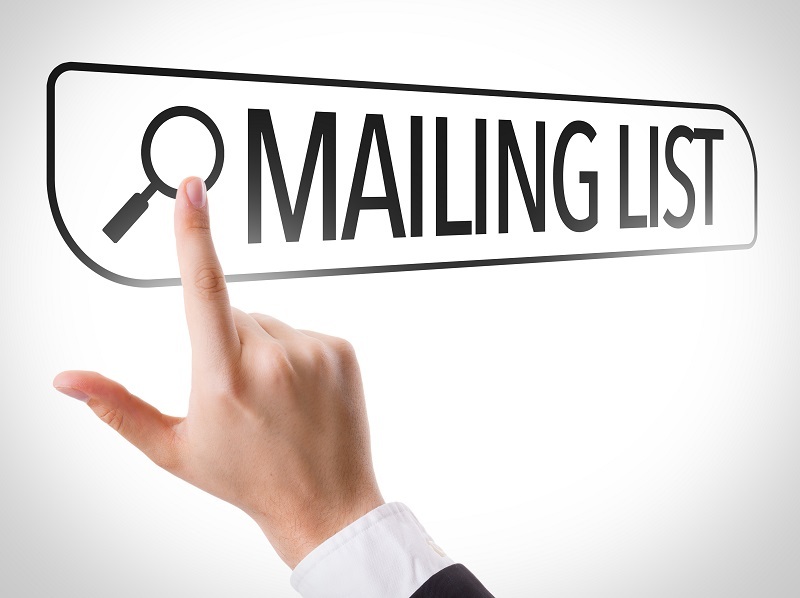 You have rightly pointed out the importance of boosting word-of-mouth when building an email list. I believe that providing a gated offer can accelerate email list building. Thank you very much Siddaiah. I started my blogging career one year back and I never shown interest in building email list, after reading so many articles like this I started collecting emails from my blog, you have clearly mentioned all the important details about building the email list. Thanks for sharing the valuable information, see you soon with another article. Thank you for following us on twitter and subscribing to the newsletter! Look out for more resources coming soon. Thanks for this one Monetize Pros! I follow you on twitter and must say the resources you link to are always of great quality. I’ve signed up to your newsletter now so look forward to learning more from you in the future! Great information in this post, thank you. Another intelligent source of website monetization strategies from your team. Thank you very much for this insightful input into building an email list. I will be sharing this with my friends. You make a great point – We hope that you found the information in this post useful! I don’t think the power of a good email list can be underestimated. Its by far the easiest way to connect to your customer base without being too intrusive.